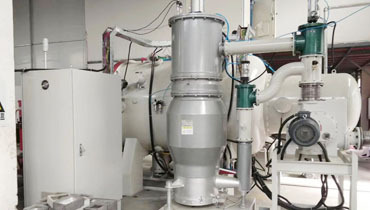 Vacuum sintering, refers to the process that making the powder material into dense material in the condition of the vacuum.People use this process to produce ceramics, powder metallurgy, refractories, ultra-high temperature materials. In general, after forming the powder and by the sintering process, it becomes the density mateiral.The sintering process directly affects the grain size, pore size and grain boundary shape and distribution in the microstructure, thus affecting the properties of the material. 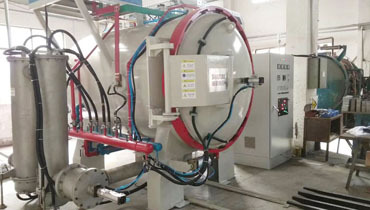 Vacuum sintering furnaces process materials under vacuum or inert gas condition so as to prevent material being oxidized.t’ s widely used for hard alloy, ceramic material, carbon fiber graphitization. 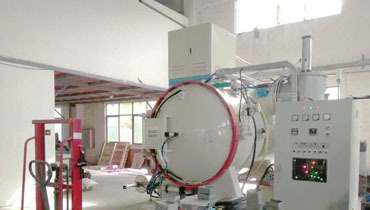 lt s suitable for hard alloy, ceramic materials, carbonfiber graphitization, carbon and carboncomposites, silicon carbide products, photoelectric coating materials, refractoryMetal (tungsten,molybdenum,tugt copper alloy) and other alloy materials vacuum or atmosphere high temperaturesintering.Vacuum units, electrical components, heating room materials and other technologies can be designed andmanufactured according to user requirements.